After a DC Comics series, a handful of television series, and five films, fans are still asking if there's a new Superman movie coming out. They'll never tire of this iconic character, the Man of Steel. Warner Bros. will lose the rights to the character in 2013, so a new Superman movie has to be released before then. The plot for this next incarnation, Superman: Man of Steel, goes back to his childhood on the Kent farm. While he was born with the name Kal-El, he was adopted by the Kent family and renamed Clark Kent. On Earth he has abilities humans don't have, so he creates a dual life for himself in order to co-exist and get along better on Earth. He'll also travel to Africa to settle violence between two warring tribes. 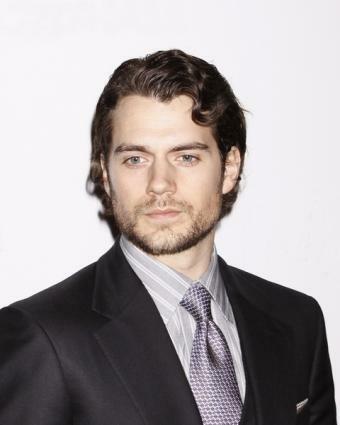 Henry Cavill as Superman/Clark Kent - He appeared in The Tudors on Showtime and was also in The Count of Monte Cristo. The director of Superman: Man of Steel, Zack Snyder, commented that Cavill is "the perfect choice to don the cape and S shield." Diane Lane as Martha Kent - She's made the transition from teenage actress to mature middle-aged woman in a variety of roles through the years, from The Outsiders to Secretariat. According to TotalFilm.com, Snyder commented, "We are thrilled to have Diane in the role because she can convey the wisdom and the wonder of a woman whose son has powers beyond her imagination." Kevin Costner as Jonathan Kent - He's been in numerous popular films such as Field of Dreams and is an Academy Award winner for Dances With Wolves. Hollywood Source quotes Snyder, "Kevin will be able to communicate the quiet strength of this rural American man who raised the greatest superhero of all time." Amy Adams as Lois Lane - She's an actress who is adored by both the public and the critics and has starred in everything from Enchanted to Julie & Julia. According to MovieNewz.com, Snyder commented, "Amy has the talent to capture all of the qualities we love about Lois: smart, tough, funny, warm, ambitious and, of course, beautiful." Superman (1978) - Christopher Reeve played Superman and his alias Clark Kent, with Marlon Brando and Gene Hackman playing Jore-El and Lex Luthor, and Margot Kidder playing Lois Lane. The film showed Superman from infancy throughout his time disguised as Clark, working as a Daily Planet reporter in Metropolis and romancing Lois. It's up to Superman to stop Lex Luthor from his plan to have a nuclear missile sink California. Superman II (1980) - Reeve, Kidder, and Hackman came back for this film, yet Brando didn't, saving the producers a lot of money in the process. The film had two directors, with Richard Donner beginning the film, and Richard Lester finishing it. Donner's original film was released as Superman II: The Richard Donner Cut in 2006. In the 1980 film, the President of the United States begs Superman to save the Earth, wanting him to save it from the clutches of Zod. In this film, Lois discovers Clark's true identity. Superman III (1983) - Reeve and Kidder were back again, and Richard Pryor joined the cast as a computer genius who is blackmailed into creating a form of Kryptonite that turns Superman evil. He becomes lustful with his childhood friend Lana (Annette O'Toole), as well as angry and destructive as he commits petty acts of vandalism. Superman IV: The Quest for Peace (1987) - Reeve came back for the fourth film as it dealt with nuclear weapons. It was produced this time by Cannon Films. Lex Luthor creates an evil clone of Superman called Nuclear Man, after Superman has collected most of the world's nuclear weapons and hurled them into the sun. Superman Returns (2006) - Warner Bros. stepped in as producers of this film. After Reeve's paralyzing accident in 1995, and eventual death in 2004, Brandon Routh took on the role as Superman/Clark Kent. Kate Bosworth played Lois Lane, and Kevin Spacey Lex Luthor. Superman has been missing for five years when Lex Luthor is released from prison and marries a rich woman in order to get her fortune after her death. Superman returns, only to fine Lois engaged. With Superman distracted, Luthor steals Kryptonite from a museum. A character as iconic as Superman is not going to go away for good. He will continue to be the subject of comics, television shows, and films. The films that are conceived might never see the light of a big screen, but there will always be more on the horizon.